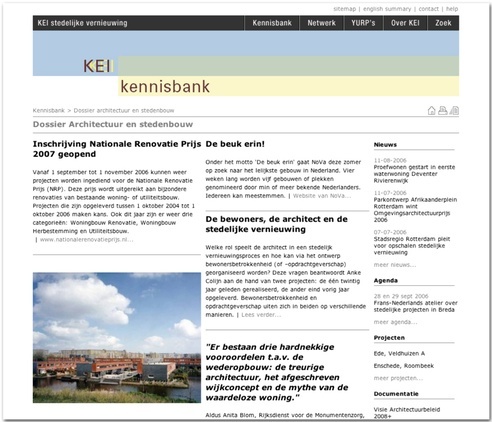 KEI is an independent intermediate between supply and demand of knowledge concerning urban renewal and restructuring. With the new set-up of their website it is now easy to retrieve relevant information and knowledge, and partners can simply add and update their own data. Visualspace designs and creates the templates for the different components of the site.